The Brunka are an indigenous people living in the Province of Puntarenas in the south-pacific zone of Costa Rica. Most of the tribe live in the indigenous reserves of Boruca, Térraba, and Curré Rey. The Brunka are a Talamancan tribe whose ancestors ruled most of Costa Rica’s Pacific coast from what is now Quepos to the Panamanian border, including the Osa Peninsula. 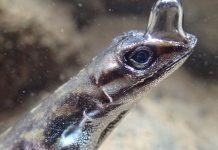 They are sometimes mistakenly referred to as Borucans, after the name of the large indigenous reserve. 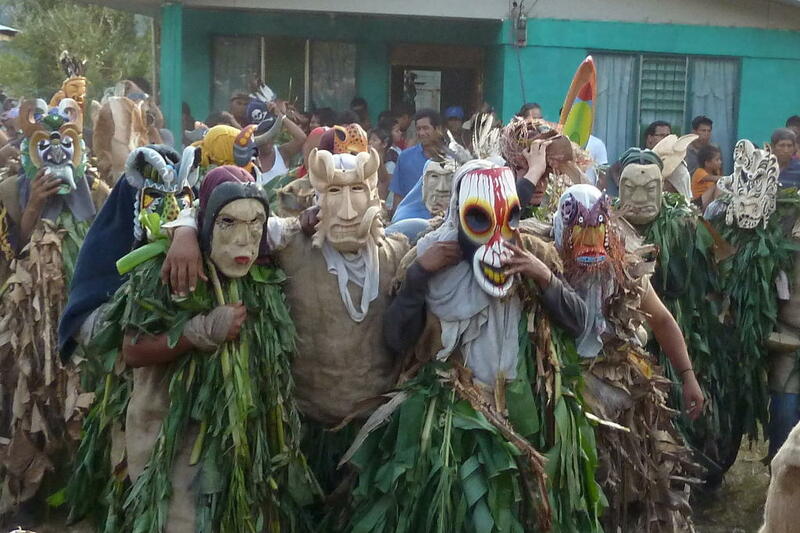 The tribe is best known for the annual performance of El Juego de los Diablitos (The Game of the Little Devils) celebrated in Boruca from December 30th through January 2nd and early in February in Curré. This game or enactment reflects the history and cultural lore of the struggles between the tribe and the Spanish conquistadors. However, it remains highly symbolic to the modern Brunka in terms of preserving their culture against the pressures of the outside world. While people take the symbolism of this event seriously, it is also an occasion of great merriment. 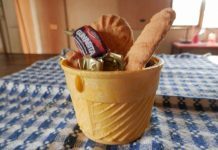 A great deal of chicha (corn beer) is consumed, as well as large quantities of commercial brew. Despite the alcohol intake, everything is very amicable and jovial. There is laughter, joking, horse play, and nobody takes anything too seriously. Even tourists with cameras fixed in front of their faces are welcomed with smiles and kidding all around. One gentleman, with a few beers under his belt, even offered to sell me his wife, who was well ahead of him in her intake. He assured me that she would not be expensive to maintain. She was oblivious, but he and I had a good chuckle over it. I thought it was funnier once I was certain he was kidding. The game has more structure than is apparent to the casual observer. There are ten distinct acts or stages and nine separate roles, some with multiple players (e.g. diablitos). The acts and the order of appearance of the characters follow a logical sequence from the birth to the victory celebration. 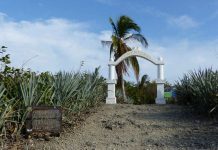 The story begins with the poignant la Nacencia (birth), which occurs at midnight of the first day on a nearby hilltop. 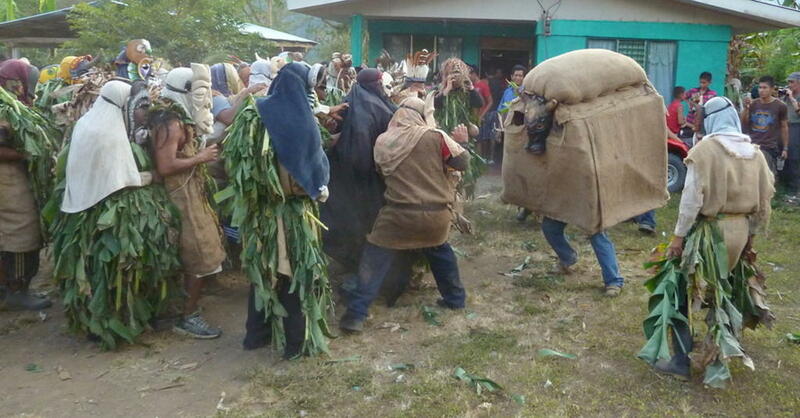 Here, the diablitos are born and this represents the origin of the Brunka people and culture. 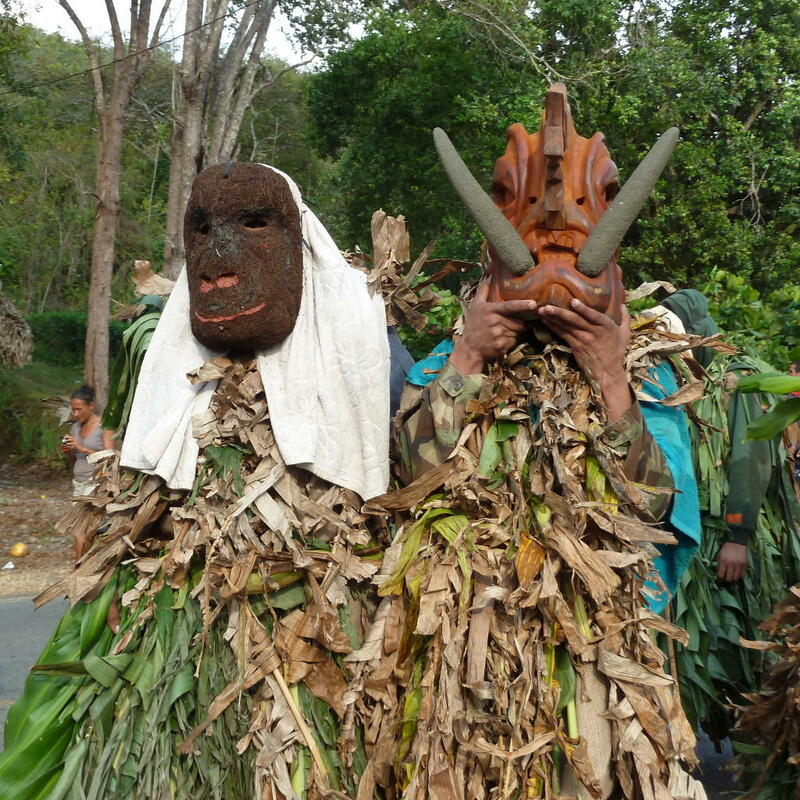 The devils are heavily costumed with vegetation, burlap, and the wonderful hand carved Brunka masks. These beautiful and exotic masks come in many different shapes and sizes. Some are painted or adorned with fiber hair. They are made locally of cedar or balsa and their sale is an important source of income for village craftsmen. At dawn the next day el Toro appears. Cattle were brought to the New World by the Spanish and the bull represents the invading Spanish conquistadors. He arrives with great fury and begins to throw himself at the diablitos at every opportunity. This battle, The Fight, goes on for three days. The costume is a heavy wooden frame covered with burlap with a carved bull’s head on the front. When he charges and hits the diablitos, it is a very forceful blow and they are often knocked to the ground, sometimes more than one of them at a time. There is some effort made not to trample the tourists, but a bull’s gotta do what a bull’s gotta do, so it’s important to stay alert. Once I saw a huge San José bound bus stop for people in the road. A group of about 15 diablitos, fueled by chicha and carried away with the excitement of the game, decided it would be grand fun to “capture” the bus. It was a little like the old adage asking what a dog would do with a car if he caught it: They could only sort of hug the front of the bus. Eventually, the bus went on its way with many smiling passengers who could truthfully tell the tale of being attacked by a drunken horde of wild natives. On the last day of the battle, the plot takes a number of twists and turns. First, the bull kills all of the diablitos. A Brunka sorceress brings them back to life. Then, in The Slaughter, the bull is defeated and killed. This is a great triumph and joyous celebration ensues. This last stage of the game carries over into the evening. There is a large fire in the field next to the community center and the burlap costume of the bull is ignited. The bull runs around in the darkness wildly streaming flames. He seems to enjoy making a couple runs directly at the crowd of spectators and photographers. Make certain you have the footing and the space to get out of his way. Eventually, the fire forces him to shed the outer fabric of his costume. It gets tossed onto the fire and he is done for the year. At the end of the festivities there is loud music, beer, food, and dancing in the community center. People are tired, but happy that another performance of the game has been successful. And, everybody knows the diablitos will be born again next year. Next articleAre Cryptocurrencies the Future for Holidaymakers? Jack Donnelly has been a life-long enthusiast of Latin American folk culture. As a young man, during the 1960s, he studied cultural anthropology at the Universidad de las Américas in Mexico City. He went on to volunteer with the U. S. Peace Corps in Guatemala. Now, Donnelly lives in Heredia, Costa Rica. He travels around the country investigating and documenting folkloric events. Donnelly is the author of COSTA RICA: Folk Culture, Traditions, and Cuisine which is available on Amazon in paperback and Kindle.